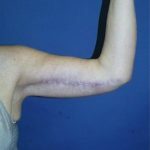 Armlift in a bariatric patient at Cincinnati Plastic Surgery. 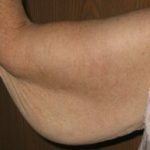 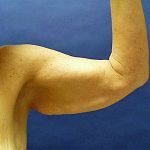 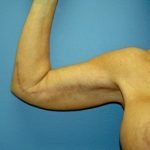 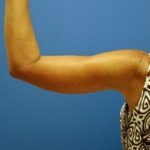 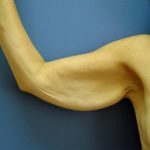 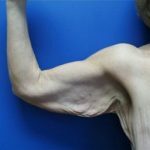 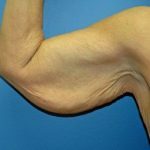 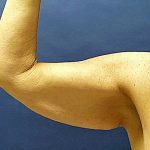 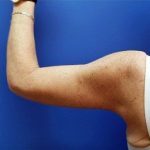 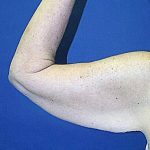 Lap band patient with 100 pound weight loss demonstrates brachioplasty (armlift) with liposuction. 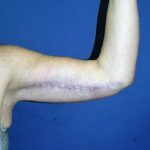 Dr. Martin favors an incision placed in the groove of the arm where it is least noticeable. 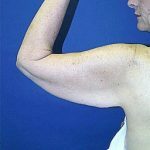 This patient lost more then 100 pounds following a gastric bypass which left her arms with excess fat and saggy skin. 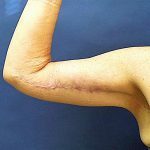 She underwent liposuction and an arm lift (brachioplasty).The scar is well placed in the center of the arm for maximal concealment. 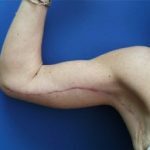 The scar will fade to a white line in 6-12 months. 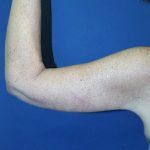 This patient lost more then 100 pounds following a gastric bypass which left her arms with excess fat and saggy skin. 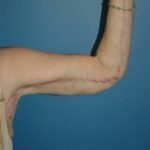 She underwent liposuction and an arm lift (brachioplasty).It was necessary to extend the excision beyond the elbow to remove extra skin. 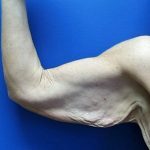 Brachiopasty in a massive weight loss patient.